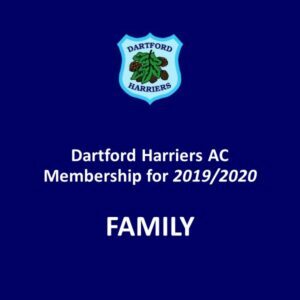 Family membership information for 2019/2020. IMPORTANT NOTICE: This product is only used to record the necessary information for each family member as part of the family membership category. Please ensure you complete all fields beneath the description before adding the member information to the basket. To compete for the club in any event, you must wear a club vest (available for £18 each). These are available to purchase at our online store. Before adding additional member information, you should add the 'Family Membership (£139)' to your basket first. This product is only used to record the necessary information for each family member as part of the family membership category. 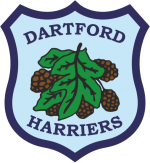 Dartford Harriers is reliant on a strong base of volunteers who undertake a variety of roles. If you are interested in supporting in a voluntary capacity, please indicate areas of interest below. Please detail any important medical information our coaches should be aware of e.g. epilepsy, asthma, diabetes etc. If you do not have any medical conditions we should be aware of please state “n/a”. 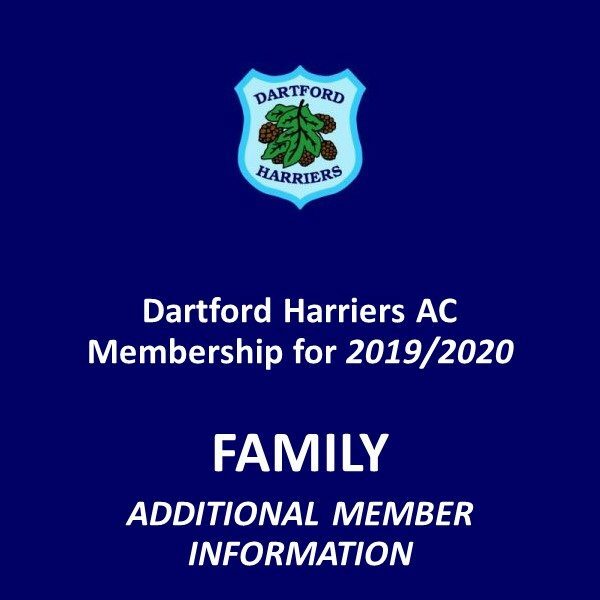 I agree to abide by the rules of both Dartford Harriers AC and all regulatory authorities and understand that the club will provide training and competitions for athletic related events only. I understand while all reasonable precautions will be taken to ensure my safety, the club cannot be held liable for any accident, injury or loss of property during organised events. I agree that the club can take and use my photograph for publicity purpose, including on the club website, newsletter and local media outlets. Please select the relevant communication consent option below. There are no other fields on this form. Please return to the top of the page and add this membership to your basket. You will then be able to add additional items, or check-out.